A coalition of graduate students urges support for clean energy programs deemed critical to American prosperity. We are now just days away from the inauguration, and beyond boisterous campaign pledges to arrest the coal industry’s decline and withdraw from the Paris Agreement, President-elect Donald Trump’s scant energy and climate policies remain frustratingly obscure and inscrutable. But what we have not heard is just as worrisome. The Trump administration has given little indication of its support for perhaps the strongest economic driver in the American economy today: clean energy. While China opened the new year with a pledge to invest $361 billion in clean energy by 2020, the Trump administration has been largely silent on clean energy -- including the continuity of critical federal support for the ongoing clean energy boom. This is particularly troubling for energy-focused graduate and undergraduate students who will be the future leaders of America’s clean energy revolution. In the months since the election, concern that we would miss such a great economic opportunity has echoed throughout our campus, and throughout campuses across the country. To voice this concern, we have joined students representing the energy clubs of the business and public policy programs from across the country in an open letter to the Trump administration calling for greater leadership in supporting the jobs, businesses and benefits of clean energy. The Trump administration must recognize the economic power of clean energy. The industry now employs over 2.5 million people, 1.7 percent of the American workforce. The solar industry alone provided American workers with more than 200,000 well-paying jobs in 2015, growing 20 percent over 2014 and accounting for 1.2 percent of all new U.S. jobs created in 2015. A recent Department of Energy report puts the number of solar jobs even higher. The growth in employment was driven in part by increasing global investment in clean energy, which amounted to more than $329 billion last year, twice the investment in conventional power generation. This level of private-sector investment is even more remarkable considering that falling renewable energy costs make it cheaper to install the same amount of power as in previous years -- solar power costs have fallen 60 percent in the last 10 years. Fair tax and subsidy policies that focus on delivering benefits to the American public rather than propping up rent-seeking incumbent industries. A memo unearthed last month from the Trump DOE transition team outlined several energy policy stances his administration may take. One of the key objectives listed is reducing energy subsidies. 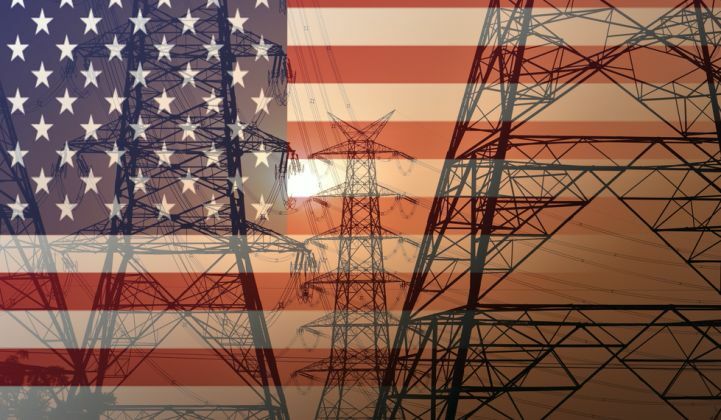 However, market support systems like subsidies are deeply embedded in energy markets, and eliminating these programs would doubtless have a negative impact on U.S. energy prices and consequently our economy. It would also mean heavy job losses -- particularly in the fossil fuel industries that currently receive over $20 billion in federal and state subsidies and have historically received the lion’s share of support. Rather than immediately eliminating energy subsidies across the board, we suggest that your administration direct nonpartisan economists at the DOE, the network of national laboratories, the national academies and other institutions to determine the appropriate market design to provide public benefits that support innovation and ensure competitive American energy markets. Increased funding for critical advanced energy technology research and development programs, including the internationally renowned work of the national labs and federal science agencies. The next Energy Secretary must ensure continued funding of the Department of Energy’s research, development and commercialization support mechanisms. The DOE supports innovation across the energy sector, from conventional to nuclear to renewables. In fact, according to the Congressional Research Service, over the last decade the majority of DOE’s R&D funding has gone to nuclear and fossil energy. By this measure, DOE R&D funding is clearly aligned with an “all-of-the-above” energy strategy. These basic investments in innovation are what keeps American technology at the forefront of the global economy, and what will provide the economic foundation for rapid growth in American energy. The DOE supports cost-effective development of next-generation technologies for all fuel types and helps bring those technologies to market -- allowing entrepreneurs and businesses to put them to work powering our economy. These are critical programs in next-generation energy technologies and must continue to be supported. Innovative financial models, such as green banks, that help lower the cost of new technologies and allow businesses to attract investment in new projects and new jobs. Energy infrastructure is capital-intensive and all new technologies carry inherent risk. Yet new energy technologies like battery storage and smart grids are necessary to build an advanced energy grid and create the top-tier American infrastructure you’ve proposed. The Trump administration will need to enact policies that would help de-risk these investments, maintain the United States’ technological competitive advantage, and bring the best, most efficient and advanced technologies to bear to power the American economy. As a starting point, they can draw on the innovative financial models developed by U.S. green banks. These institutions can provide the Trump administration with a model for creating economic growth through visionary, effective financial innovation. These are commonsense proposals that will help America’s entrepreneurs, project developers and construction workers to seize a tremendous economic opportunity. Clean energy is an economic winner for the U.S., and we must harness its ability to create jobs, improve American infrastructure, and ensure that our country remains a global economic leader. As clean energy continues to grow, U.S. companies will be called upon to increase manufacturing capacity, train hundreds of thousands of American workers, and bring about a modern, secure electric grid. Embracing a clean energy future would boost manufacturing and construction across the U.S. with 460,000 additional construction jobs by 2030 and 800,000 by 2050. As students training to be the future leaders of the energy industry, we aspire to create successful businesses and millions of jobs. We need stronger clean energy leadership from the Trump administration to do so. Kristofer Holz is a joint MBA/MEM candidate at the Yale School of Management and the School of Forestry & Environmental Studies focusing on financial and policy innovation in the energy sector. He recently co-authored “The 2017 Inauguration: Empowering a Clean Energy Nation” with Nancy Pfund of DBL Partners. Ben Serrurier is a master's candidate at the Yale School of Forestry & Environmental Studies focusing on integrating climate policy with energy markets and regulation. He tweets at @bserrurier.